A beautiful sunrise @5:45am with sprinkles towards the end at the Elks Club of Honolulu. 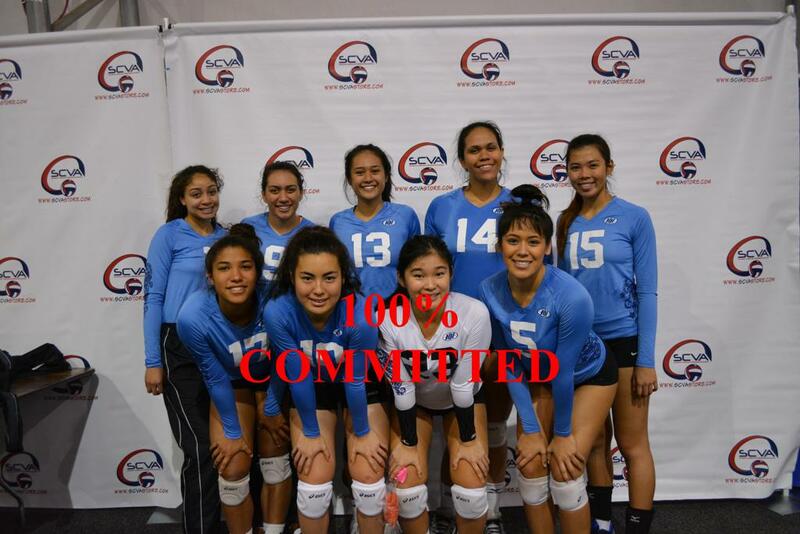 Today Hana Hou Volleyball Club is pleased to announce the Class of 2019. This list consists of the seven student athletes who signed today or previously during the last two signings. 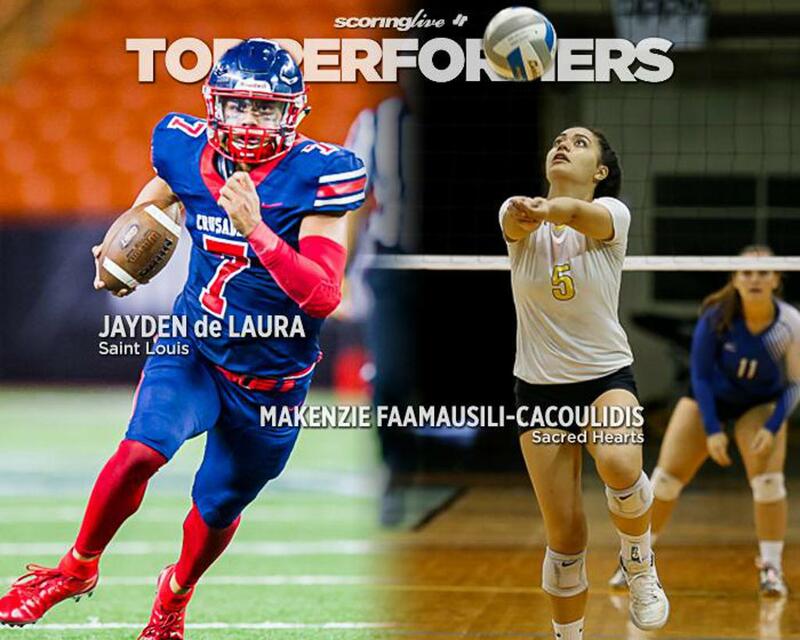 Under the direction of Coach Lynden Keala and Hawaii Volleyball Network’s- Lani Keala, this represents the best examples of student-athletes throughout the 808 state. Additional support and gratitude to Coaches Tommy Lake, Dean Tamura, Jamie Hirai, Ryan Liu, Clyde Kobayashi, Jordan Nakamura and the team moms and dads as well as head administrator Kelly for always being there for the team and club. Team Keala never fails to deliver with over 88 collegiate coaches court side during the recent trip to SCVA Las Vegas Showcase and placing 3rd in the 18’s Open Division among the nation’s best. This provided many countless opportunities for the athletes. The effort is evident in the results we see today. As the girls signed and committed today, it represents the final chapter and a proud moment for the parents who have provided the emotional and financial support to see the girls through. 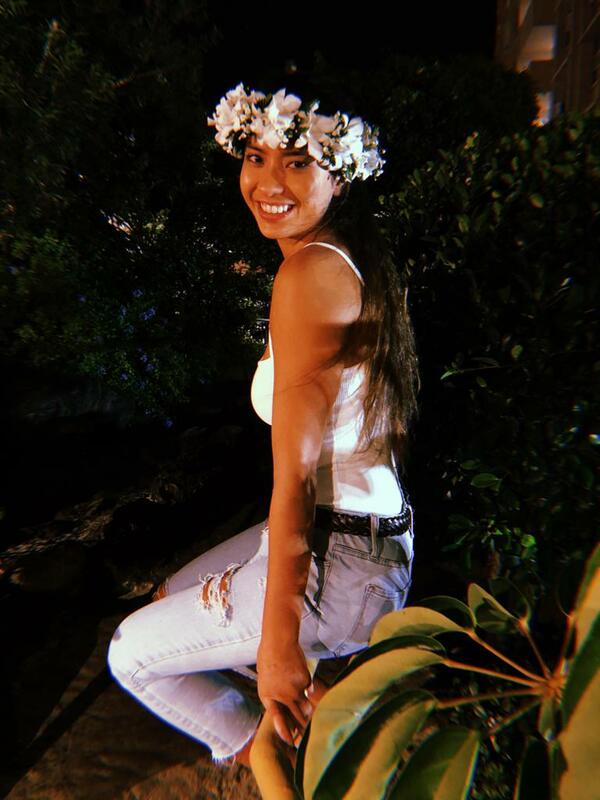 Haku leis and smiles and pictures were everywhere and big celebrations for all of Hawaii’s student-athletes. Athletes Kamalani Kekoolani is currently in the final decision phase in her pursuit of aeronautical science and national merit scholar Bailey Darnell is finalizing the many choices she has in her future home state of California. Two players represent the last original Hana Hou VBC players who have been there from the beginning of the club. Players Kaehukai Keala and Jordyn Nichols. Their Jersey numbers will be retired after this season. 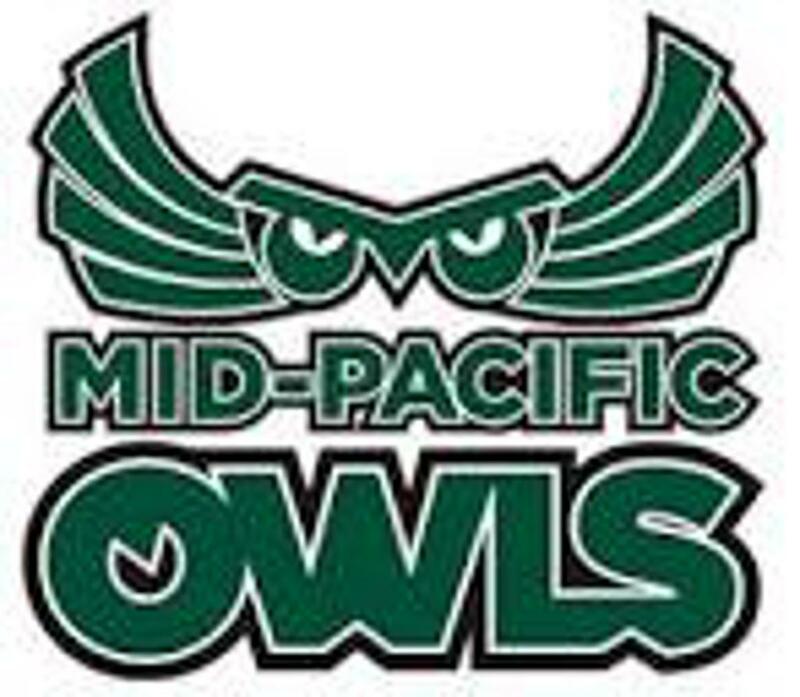 Hana Hou Volleyball Club would like to congratulate and salute Mid Pacific Institute and Hana Hou 18’s Lynden student athlete Angelene –Tori Kekoolani ( Kamalani) on her outstanding academic achievement of being recommended to not one but two military service academies. She is daughter of parents Aaron and Kaleo Kekoolani. The two include : the Air Force Academy and the U.S. Naval Academy. This extremely difficult achievement is awarded to only the best students in Hawaii and the USA. To receive two nominations by the Hawaii congressional delegates is a testament to Kamalani’s high academic achievement and service to the community. Students who seek admission to a military service academy have to apply for a nomination from at least one U.S. Senator in their state or a member in the U.S. House of Representatives. Nominees will be considered for appointment by one of the U.S. Service Academies. “The students who attend our country’s service academies represent the best the United States has to offer,” Schatz, D-Hawaii, said in a news release. “I look forward to seeing these young men and women grow into the next generation of military leaders. Kamalani will be pursuing aeronautics in college and has focused her attention 100% towards that goal. In addition to the two schools mentioned above she has been accepted to the following colleges which have aeronautic programs . Other schools she was accepted to include Loyola, University of Oregon, Wells, Colorado Mesa, Whitman and UH. We are anxiously waiting for her decision. 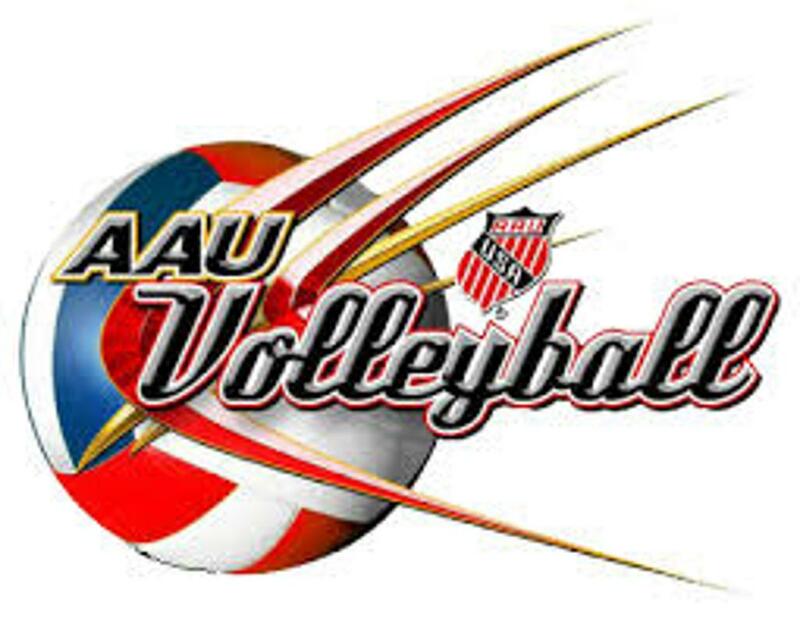 2019 Junior Senior Volleyball Showcase-Registration Now Open !! 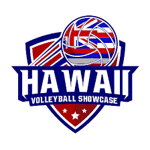 Registration for the 2019 Junior-Senior Volleyball Showcase is open at www.HawaiiVolleyballShowcase.com! The Showcase will be held April 20, 2019 at Le Jardin Academy from 12pm - 3pm. The Showcase will be LIVE-STREAMED and college Coaches from DI, II, III, NAIA & JUCO will be invited to watch the Showcase. Players may also invite Coaches to watch the Showcase. College Coaches, please register to watch the Free Live-Stream! 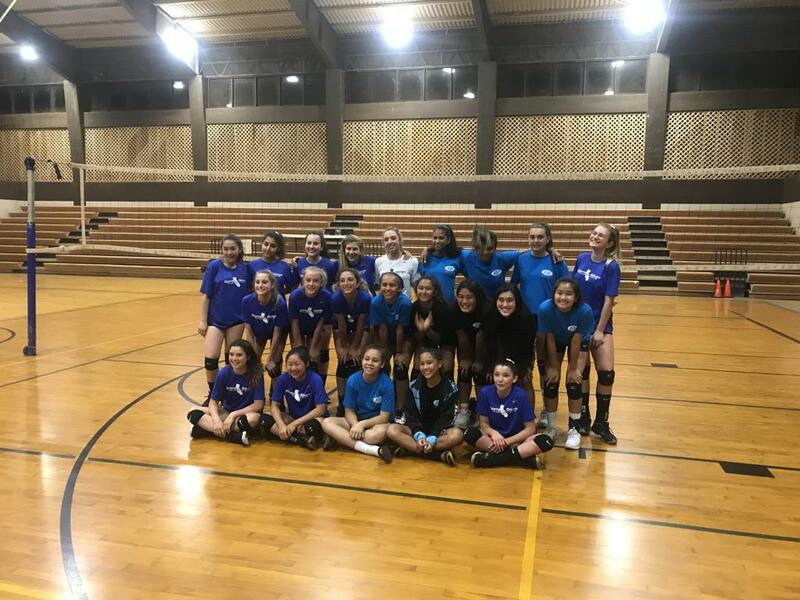 Hana Hou Raymond 14’s had the pleasure of scrimmaging the Central Coast Volleyball 14’s – Amir. This team is coached by Coach Amir Rhamati . The club which included two teams were in town for the inaugural 1st Annual Spring Break Madness Tournament. 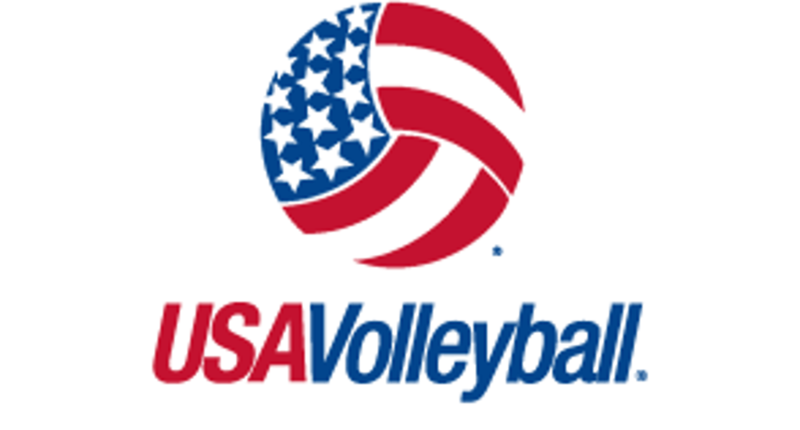 Central Coast Volleyball belongs to the Northern California Region of USA Volleyball and is located near Monteray Bay in California. After the scrimmage there was fellowship and pizza provided by coach Raymond and arranged by team moms Jen and Jessica. Coach Raymond was assisted by coach rich and coach bill. Thank you to the staff at Kilauea District Park for providing the facilities. EL PASO, Texas – UTEP volleyball head coach Ben Wallis announced the addition of junior-college transfer Syenna Masaki Wednesday morning. This is the first signee of the Wallis era at UTEP. "Syenna is a complete volleyball player," Wallis said. "We are really excited to have her join our Miner family because she can help us do a lot of things in the game well." Masaki is joining the UTEP roster from Western Nebraska Community College, where she spent the first two years of her college career. She was an extremely versatile player who excelled in passing, attacking and setting for the Cougars. The junior is a two-time All-Nebraska JUCO first-team honoree. She was also named the captain of the 2018 All-Nebraska team. This past season Masaki posted a 12-match streak of double-digit kills, including a 24-kill performance versus McCook Community College (9/20) at a blistering .439 clip. In 2018 she led her team in points (425.0) and service aces (50). Masaki rated second on her squad in kills (331), assists (267) and digs (339). 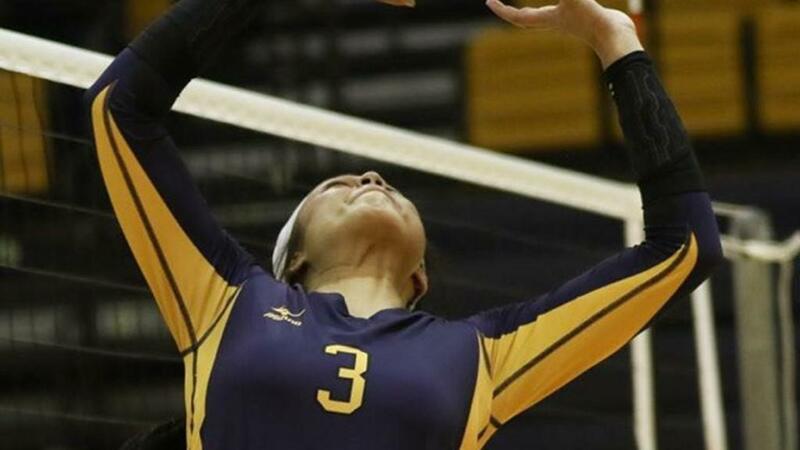 "She may have been the best passer, attacker and setter at Western Nebraska. She is going to come in and compete for us in all three areas for us as well." Wallis said. "Not only is she very competitive, but also she is a gym rat, which I love. Volleyball is important to her, and it shows." Masaki is a native of Kaneohe, Hawaii. Her nickname is "Enna", and her favorite TV show is the Vampire Diaries. "I am really excited to join the Miner family." Masaki said. "The coaching staff and the girls made me feel at home. I am ready to start over and change the program around with them." Hana Hou Volleyball Club is pleased to be the first club in Hawaii to offer professional live streaming of our students athletes. Does a potential college coach just can’t wait till your next visit to mainland tournament? The solution is live streaming where the athlete has the ability showcase their talents immediately during their next tournament in Hawaii. This immediately creates the bridge between Hawaii and continental mainland . 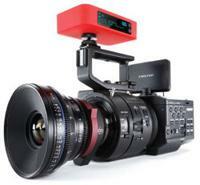 The technology used is HDMI and 4K Quality with the same types of cameras used by local news crews. The premium brands of Cannon and JVC with three cameras are immediately available utilizing the technology of broadcasting pro. Hana Hou Tommy 18’s has been selected as the first team to use this technology at their next tournament. The initial response from the college coaches has been positive and they look forward to being able to view our athletes on demand and this will help in the fast moving decision making process. Congratulations Chloe !! We are so proud of you!! Over President’s Day weekend, PrepVolleyball.com held one of its Unsigned Showcases in Las Vegas at the It’s All Volleyball facility. We wrote about the standouts our on-court coaches identified and we said we’ll be following up with some of them. We reached out to a few named MVP’s from their respective sessions and asked them to respond to our questions in hopes of gathering a little more information on them. We’ll be releasing them over the course of the next few days. 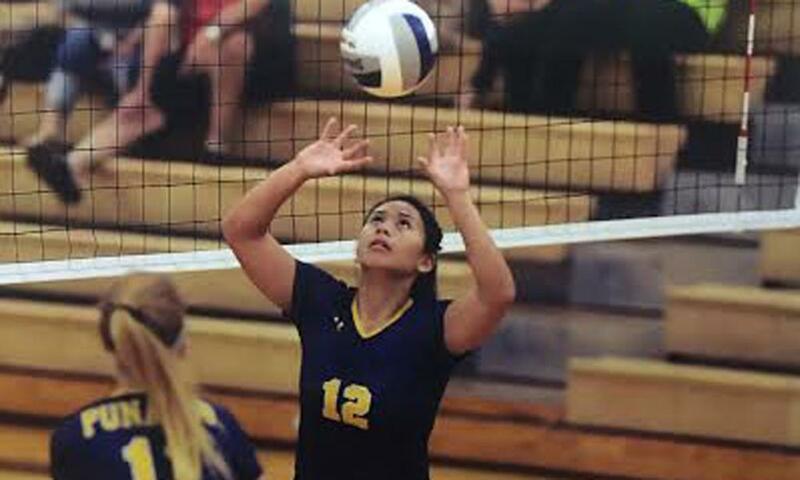 Below, we introduce Chloe Ka’ahanui, a 5-9 Class of 2020 setter from Hanahou VBC. From a young age, Ka’ahanui played various sports like soccer and basketball. The one she became most passionate about in time was volleyball. Having two older siblings involved in the sport made volleyball more than just a game for Ka’ahanui. It was family bonding, as Ka’ahanui would run around at their practices growing up trying whatever she could to get a hold of a ball to play with it. What is your favorite part about volleyball? Ka’ahanui: My favorite part about volleyball is meeting new players, coaches, and colleges throughout the years. I love to gain new experiences! I feel that it is good to play with diverse amounts of people, learning to adapt to their style of play or coaching. Itʻs kind of preparing me for what’s to come in college, knowing that I will be meeting tons of people! What did you like or enjoy most from the Las Vegas Showcase? Ka’ahanui: During the Las Vegas Showcase, I really enjoyed the competition that was there. I definitely was challenged by the other girls, which pushed me even more to perform at my highest. Honestly, each girl there deserves some credit for putting on a great show for all the college coaches. My court had such great energy and the willingness to gain every point! I really enjoyed myself and all the girls I made friends with. Overall, a great combine to showcase all my skills I have, which was rewarding at the end! What was your focus or mindset during the showcase and what were you hoping to accomplish? Ka’ahanui: Playing on the court, the mindset I had was to leave everything out. By doing this, I hoped that college coaches would see how dedicated and committed I am. Physically, I did all I could to perform at my best! I believe verbally speaking is what set me apart from the competition. Talking during times when nobody would say anything is definitely the difference I make. Overall, I was personally trying to accomplish grabbing several college coachesʻ attention. I was extremely happy with how many coaches were interested in me. 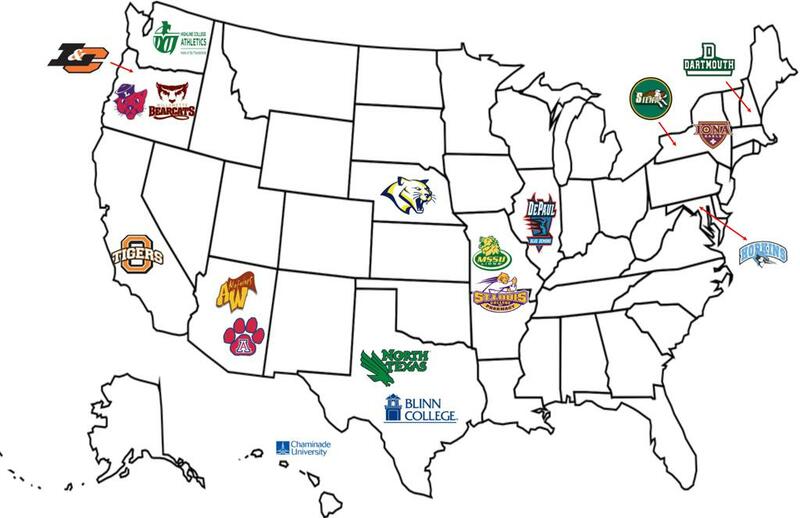 Although, I also had a goal of helping out my teammates on my club team in possibly getting recruited by these colleges. I did all I could to help them get the looks on the court. At the end, all my teammates got what they desired for and gained some interest from coaches. I especially was grateful for what all the college coaches had to say about me! Do you see yourself wanting to stay closer to home or going farther away when it comes to college? Ka’ahanui: I see myself staying closer to home, possibly in California, Washington, or Oregon. Iʻve always wanted to stay closer to home by the ocean. However, I am willing to experience new places on the east coast. What level are you seeking when it comes to playing in college? Ka’ahanui: I’ve always wanted to play with the best so I really see myself playing at the D1 level. Do you know what you would be interested in majoring in? Ka’ahanui: I am very interested in majoring in either health professions, nursing, or radiological sciences. My dream career is becoming a radiologist or a pharmacist. What are your hobbies or interests outside of volleyball? Ka’ahanui: I’ve always enjoyed the sport of basketball. The physical contact is a huge reason why I like the sport so much. I also enjoy the adrenaline I get when running up the court and scoring. It serves as fuel for me to continue putting up huge points! 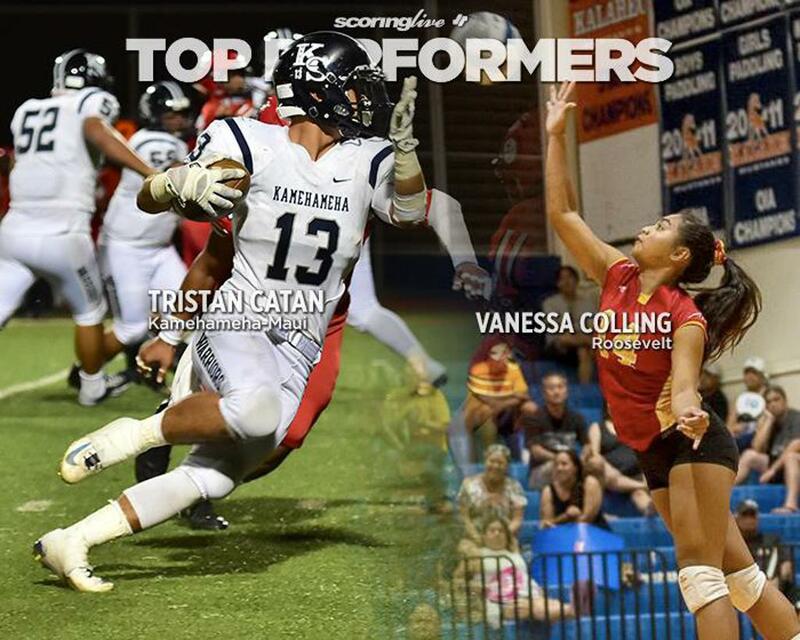 Congratulations this weekend to the many athletes who participated in the 10th Annual Hawaii Volleyball Combine. Collegiate coaches were represented from Division 1, 2, 3 , NAIA, JUCO . There were over 100 athletes per session showcasing their skills led by the many local volunteer coaches . The entire event was a huge success and many opportunities were created for local players. 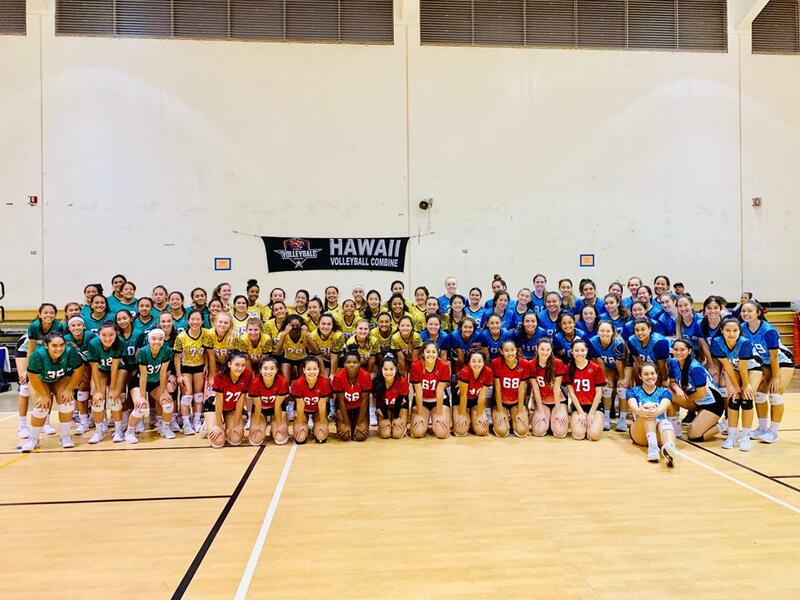 In conjunction with the 10th Annual Hawaii Volleyball Combine , on Sunday after the last session, Hana Hou’s Joey 17’s led by coach Waioli Gonsalves participated in a friendly scrimmage with Team Japan , a team from the Big-Island and Molokai . A big bonus was the addition of one local player and a player from Canada who help-out on Team Japan. The event was the highlight for the team from Japan. Thank you Joey 17’s for providing them with a memorable experience during their recent visit to Hawaii. 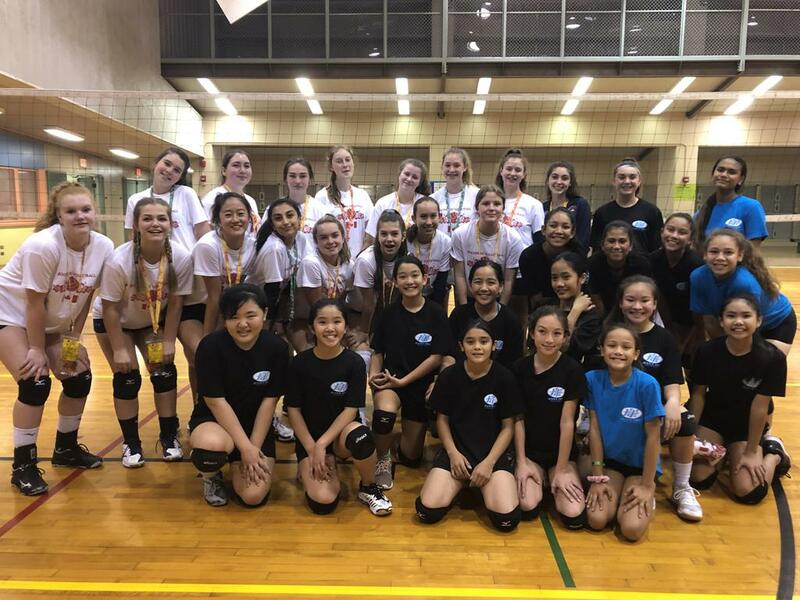 The teams of Hana Hou 14’s and 16’s had the pleasure of scrimmaging and hosting the Canadian/British Columbia team (Rockport Secondary School) this past Friday. Along with volleyball the teams were able to engage in fellowship and enjoy some pizza with our northern neighbors. On Tuesday the teams along with Brad’s team joined the fun. Both teams exchanged gifts. Overall a great experience ending w/ an invite to BC. Congratulations out to Class of 2019-Kamehameha School-Kapalama Anuhea Kaohi ( Lynden 18’s) on her commitment to play for the Western Nebraska Cougars under the direction of legendary coach Binny Canales. The winning ways of WNCC Volleyball with it’s 16th straight national tournament season falls on the heels of two Hana Hou players , the dynamic Syenna Masaki and Amryi-Grace Paris. 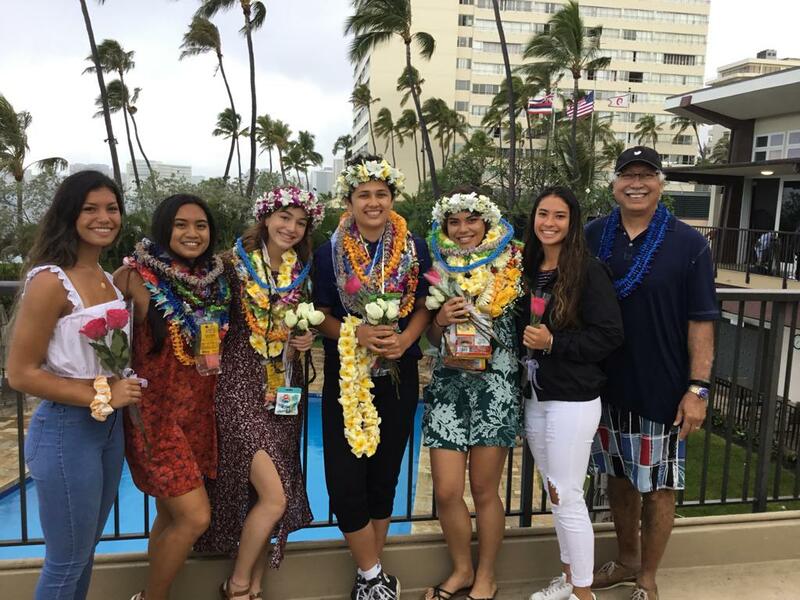 Anuhea will join the ranks of three Hawaii player who have chosen the cougars to advance their college education as well as play collegiate volleyball. She will be joined by Kapolei High School Olivia Transfiguracion along with upcoming Gering’s Bulldog Giants 6ft OH Olivia Schaub and 5-11 Middle Arian Mitchell who had stellar careers at Gering High School in Nebraska. Anuhea is a two year veteran with Hana Hou 17's & 18's Lynden and the daughter of Kevin and Kate Kaohi. As early as the chickens crow 69 student athletes representing 11 different sports signed their NLI at the Hawaii Convention Center. With a program start of 5:45am these eager athletes were ready to sign and move on to the next chapter in their lives. Congratulations to Jordyn Nichols ( Kamehameha Class of 2019) ( Hana Hou 18’s) for being the only athlete signing for Beach Volleyball today. Jordyn will be playing Beach Volleyball for the Arizona Wildcats. Jordyn has been with the club since the first club season and in her sophomore year became the first and only beach player in Hawaii to be committed by a mainland college for the sport at that age. Jordyn is the daughter of Jerry and Jeanine Nichols. Congratulations to the Nichols Ohana and Jordyn!! Some of our youngest angels from Hana Hou Brad's Team made their debut this past weekend in the first Aloha Region League Tournament at the Kalihi Valley Gym. Under the direction of coaches brad and marissa the girls and parents were happy to finally get the season started with their first tournament. The warm smiles and having them dressed in their team jerseys made for the perfect start to a awesome day. One day after the knockout round at Power League, Lynden’s 17’s and 18’s were back in the gym not passing, setting or hitting, but with Corepower instructor Travis Cundiff. 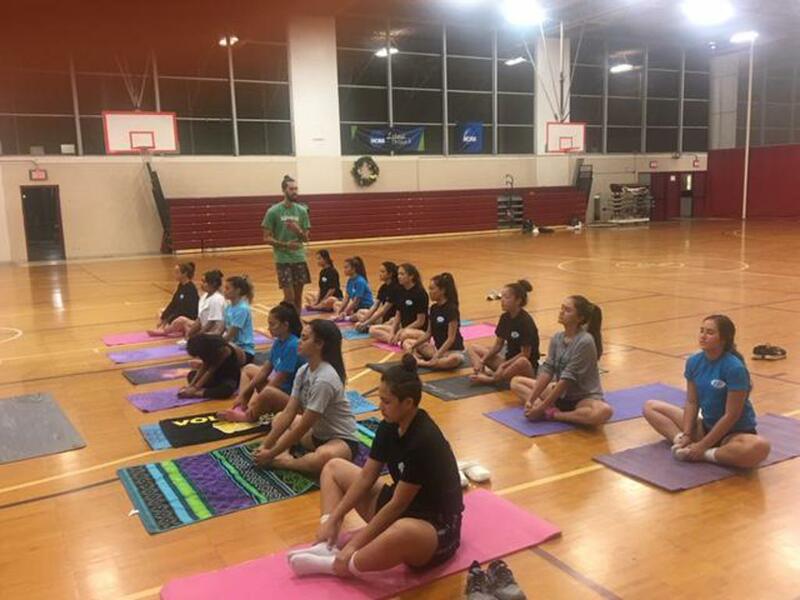 The former ‘Iolani and Sacred Heart University volleyball standout now yoga master was working with our players in deep stretches, mental tranquility and muscle recovery. The 90 minute session was a welcome relief to hours of repetitious muscle fatigue associated with practice, scrimmages and the qualifying rounds of PL. As Travis so appropriately put it, even in a young athletes, balance in their core is so vital to being structurally healthy. The players enjoyed the session so immensely that Travis will be back the day after TransPac on Tuesday at Salt Lake to do more of the same. The player’s jury is out whether the parents will be taking up their yoga mats in relief on their own parenting stress. Good luck to you all in Trans Pacific. The Salt Lake District Park was recently transformed to the ACE “Kine” Photo Studio for Hana Hou. The club is currently working towards getting all of our players photographed in a standard profile and providing a professional presentation of our athletes. In the first of our sessions we were able to get Jarrett 18’s , Lynden 17’s and 18’s. Our professional adult model ( Claire-Bailey’s Mom) provided the proto-type and pre-photograph to warm up the photographer. The teams utilized the talents of photographers Wendy ( Lynden 18’s ) and Christine ( Jarrett 18’s) . Technical aspects was handled by Susan ( Lynden 17’s) . Player visual pre- preparation was handled by Claire ( Lynden 18’s) and Marissa ( Jarrett 18’s). The girls had a wonderful time and the club is extremely fortunate to have many beautiful moms who look more like sisters than moms to their daughters. Thank you moms for strutting your stuff. Waiting for the make-up sessions to come next ( lol). The first beach training at Ala Moana Beach Park with Coach Jarrett!! Under balmy skies and on the busiest last weekend of the year Hana Hou Volleyball Club held their Collegiate Student Panel. This well attended event featured special college coaches from Hawaii Kahala Kabalis (Chaminade University) and Jenic Tumaneng ( Hawaii Pacific University). Both coaches offered an excellent overview of the college recruiting process . The captive audience listened with intrigue and interest as the coaches detailed the brutal and competitive nature of college recruiting. With information coming directly from coaches who receive tons of emails everyday , the audience of athletes quickly learned that they needed to improve their preparedness for the next season and their travel tournaments. The event was moderated and carefully planned by lead coach Lynden Keala who created a schedule of topics that covered common questions that athletes need to be aware of. The three for one keala package of volleyball knowledge included coach lynden , lani and loxley keala. Our special guest speaker was Lani Keala from the Hawaii Volleyball Network. There is no one single individual in Hawaii who has the expertise , knowledge and experience as Lani. With a nationwide reach of coaches , her speech was insightful and really opened the eyes and ears of the audience . The club was generous to compensate her and the guests with poi donuts and water from the aquifer of Washington ( Costco Kirkland Water) . The remaining part of the event featured our student and graduate panel of athletes who had a great amount of success in volleyball on the collegiate level. Collegiate graduates Loxley Keala ( Iowa) and Jamie Hirai ( San Jose State) along with students from Johns Hopkins University , Chaminade University, Occidental College, St Louis School of Pharmacy, Siena College and Lewis and Clark University. They were able to share their current and past experiences and how being a student athlete has changed their lives. The three hour event quickly flew by and in the end , current high school athletes as well as their parents had an opportunity to have one on one question and answer sessions with the panel guests. Presently in the volleyball world, the recruitment process has become a part-time job for athletes, parents, coaches, and club staff. It takes time and resources to record and break down video to make highlight reels, tally statistics, and then devise a plan to send this information to college coaches in an organized package. At the same time, high school and club volleyball programs are becoming more sophisticated in searching for an advantage in training and against competitors. Hudl, a sports video analysis and software company, is revolutionizing the way coaches and athletes prepare for and stay ahead of the competition and addresses the needs of the growing sport. What began as a football product, Hudl has now developed programs specific to ten unique sports, including volleyball. Its top priority is to give athletes feedback and tools to help them improve as a player every day. Hudl has been giving athletes a platform to shoot and display video for various uses. Once a club or team has purchased the program, there is no limit to who may have access to the the account. Not only does this mean that multiple users can view the video simultaneously on a computer, phone, or tablet, but it also means that only one parent now has to record the match and upload it to Hudl. Gone are the days that there are ten video cameras set up behind the same court to get the same film. Once the film is uploaded, users can go into the interface to take statistics, view technique for player development, scout opponents, and make notes within the program. Players can also use Hudl to choose their best clips to showcase individual highlight reels for recruiting, social sharing, and to feature at end of the year functions. For Hada, being in the middle of the Pacific presents challenges to his athletes who want to play in college. Luckily, though, the current landscape of college recruiting almost requires athletes to send video before a coach watches a player live, due to strained time and financial resources. Additionally, club directors such as Hada at Hana Hou see the benefit of Hudl because he doesn’t have the ability to staff full-time recruiting personnel. 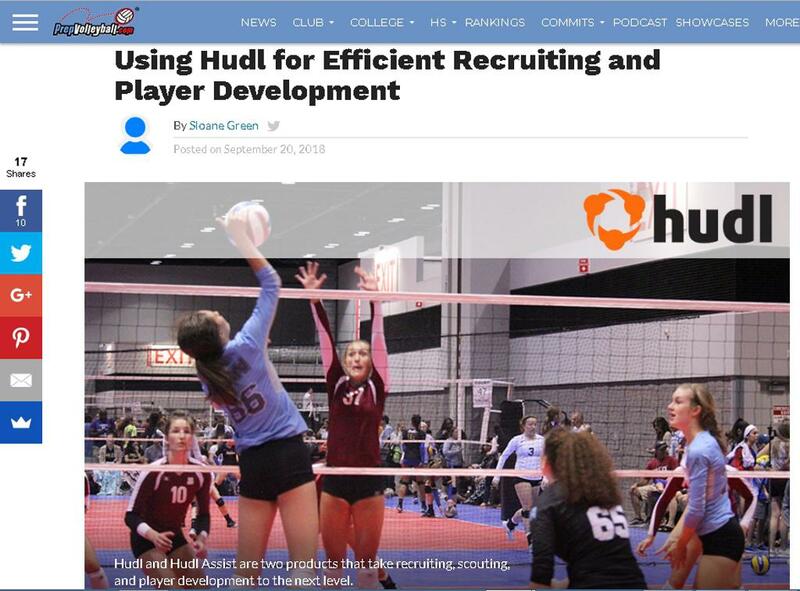 Because many athletes come to Hada’s club to compete as well as be seen and recruited, a service such as Hudl is a simple and effective resource to allow players to find a good fit in college, and for Hana Hou to retain club players year after year. Hudl has taken its services to another level with Hudl Assist, an add-on to the Hudl subscription. Hudl Assist removes the time it takes to upload video from a device, break down statistics, and search for specific film bites. That “part-time job” that coaches once had to analyze film, on top of perhaps his or her day job and coaching, has a solution with Hudl Assist. In Hudl Assist, you can send your match or opponent’s video to Hudl with a click of a button. Then, Hudl breaks it down statistically (based on the NCAA volleyball required statistics) for both sides of the net. Within 12-24 hours, it’s ready to view. The statistics then can be filtered by player, rotation, team, set, and match. Coaches and players can see trend charts, the box score, overall statistics, and set goals within the Hudl Assist program. Dan Mader, Associate Club Director at VCNebraska in Lincoln, Nebraska where Hudl is headquartered, mainly uses Hudl for scouting, statistics, and player development. Mader and other coaches at VCN use Hudl Assist to tag players when they see a valuable teaching moment on film. When this happens, the player will get a message directly to their phone. Mader also uses it to bring lessons to life and to assign homework to his players off the court. With the breakdown of statistics, an attacker, for example, can now filter a match to view their own plays including kills and hitting errors, while setters can see which plays are successful in each rotation, and liberos can watch opponent hitting tendencies. Mader notes that it’s been proven that kids succeed more when they take the initiative and teach themselves, rather than being told what to do. The benefit for scouting may be geared more for high school and college programs who face teams multiple times each year, but Mader sees the benefit for club, too. In the five years Hana Hou has been using Hudl, Hada says it has progressively gotten better and the support is “unmatched” with staff following up with him constantly, performing webinars, and sending season reports. Not only is the product useful for development and recruitment as a juniors player, but it translates to a skill all players will have to learn at the collegiate level because at most programs, scouting occurs before each match. Since Hudl’s recent acquisition of VolleyMetrics, it has expanded its video and statistical programs from just the high school and club levels, to now being used at the collegiate level as well. Think of Hudl as getting a head-start. The cost of Hudl and Hudl Assist has not been a barrier to Mader or Hada because of the payoff. While both clubs subscribe as a program, users can also use Hudl per match in a pay-as-you-go format. Hana Hou Volleyball Club signs FIVE !!! At the Elks Lodge Waikiki from 6:00am in the morning more than 76 student athletes participated in the April 2018 National Letter of Intent signing day. With beautiful blue skies and warm trade winds we could not have asked for a more perfect day. The event put on by Education 1st in what is a continuation of the PIAA signing created by Doris Sullivan. The Hana Hou Volleyball Club had five athletes who participated and signed their letters committing to their respective colleges. Coach Ryan Liu in his first year head coach for an 18’s job did a remarkable job in training the players and getting them seen by college coaches. Coach Ryan under his sensei Coach Lynden has taken the wisdom of his mentor and engraved a name for himself in junior volleyball. With great coaching and recruiting fueled by the power of HUDL the club was able to move these student athletes to a new chapter in their lives, The promising coach has a really bright future ahead. The 18’s had four players and the 17’s Lynden had one. The signing represents the final chapter in club and school volleyball for all players. It is a proud moment for the parents and players. Hana Hou Volleyball club lands in Lincoln, Nebraska!! This years 2018 HUDL Week ran from June 4th to June 8th 2018. 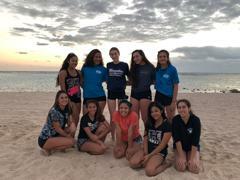 Club Director for Hana Hou Volleyball Club Glenn was invited to be the guest speaker for volleyball among the Hudlies that returned from around the world at their annual retreat. Hoping foreign language was permitted ( da pidgin) the director set on the path to work and explain to the audience how HUDL has had a profound effect on recruiting players from the islands. In a hi tech world where there can be a strong disconnect between developer and end user, this opportunity provided a chance to bridge the gap and explain the rewards that this wonderful software has had on club volleyball and athletics throughout the world. The functionality of the software has revolutionized the way coaches and athletes prepare for and stay ahead of the game. Hudl now offers the tools to edit and share video, interact with stats, and create quality highlight reels for entertainment and recruiting purposes. For Hana Hou Volleyball Club this priceless software combined with our excellent coaches provides the winning formula for moving our student athletes to the next level. Among more than 160,000 active teams and 4.3 million unique users, the club is blessed that our voices and opinions in the 50th state was valued and offered to be shared with one of the fastest growing companies in America. 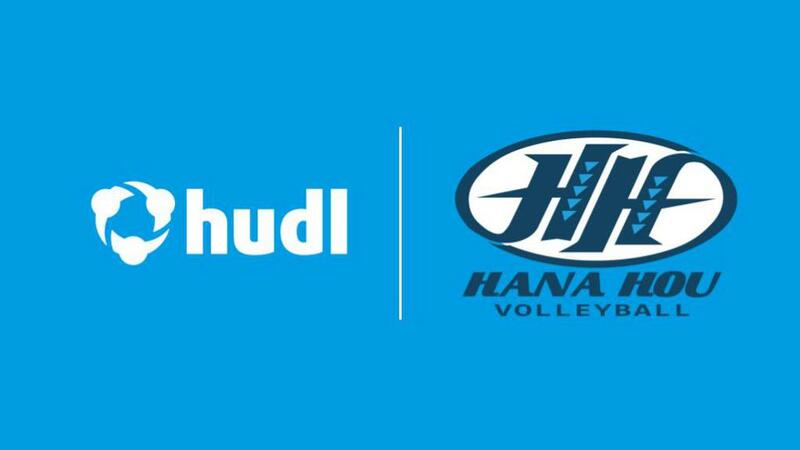 The addition this year of HUDL Assist to Hana Hou Volleyball Club provided a professional presentation with stats and videos to potential college coaches and the results was evident by the complete recruitment of all our student athletes. In an audience where the nation’s best and brightest were seated, there was validation that advanced technology was being breed in Lincoln, Nebraska. The city is now becoming incubators for hi-tech and becoming the “ silicon prairie”. A company called HUDL that not only supplies software but provides “ opportunities” . These opportunities have stretched far from Nebraska to Hawaii to a club in the middle of the pacific called Hana Hou. ©2019 Hana Hou Volleyball Club / SportsEngine. All Rights Reserved.